If you happen to have a family of your own and love them very much, you need to show this love by means of treating them every once in a while. This way they will feel special and appreciated. 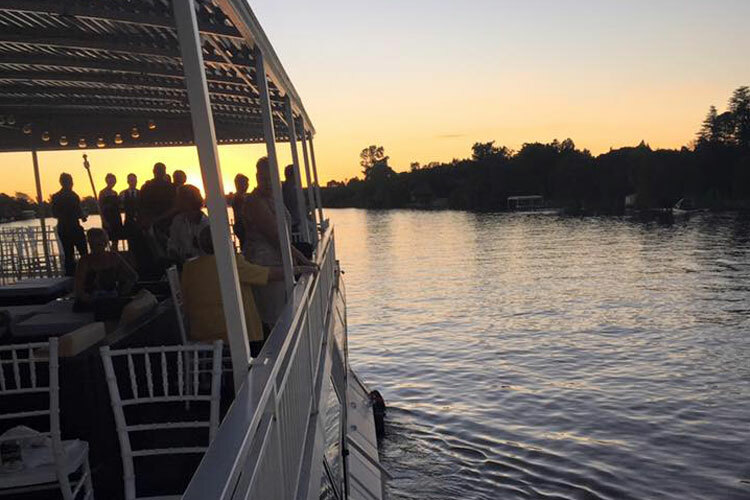 Although an evening out at the movies and dinner is always a nice idea, there is something else that will make your family much more excited; it is known as Vaal River boat charters. 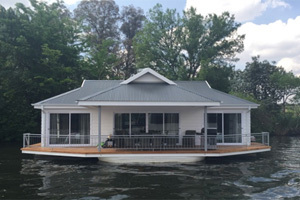 Vaal River boat charters is really the ideal treat for your family seeing as it allows all of you to break away from your usual environment and experience the scenic beauty which the Vaal River and its surrounding areas offer. However, in contrast to camping on the banks of the Vaal River, Vaal River boat charters allows you the opportunity to experience kilometer after kilometer of this majestic river; thus being able to navigate parts of the Vaal that are not accessible via road. The fish in the water, birds in the sky and the fauna and flora found all along the banks will most definitely have a calming effect on your entire family over the course of the cruise. Watching the sun set at dawn and gazing at the stars during nighttime from the open, upper deck of the houseboat are other exciting experiences offered by Vaal River boat charters. When the subject of Vaal River boat charters is mentioned, the name of the Liquid Living is bound to pop up. The reason for this being the case can be attributed to the huge popularity which the Liquid Living enjoys amongst holidaymakers. As such, you should most definitely consider experiencing the concept of Vaal River boat charters on board the Liquid Living. The wide range of facilities which it offers include a skipper and on-board chef, which means that you can give your undivided attention to your family without having to worry about navigating the houseboat or preparing meals. 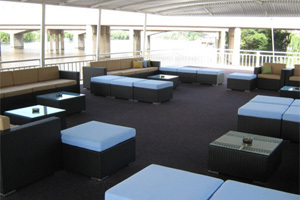 What would Vaal River boat charters also be without a roaming satellite as well as a main saloon area equipped with plasma screens and a home entertainment system? 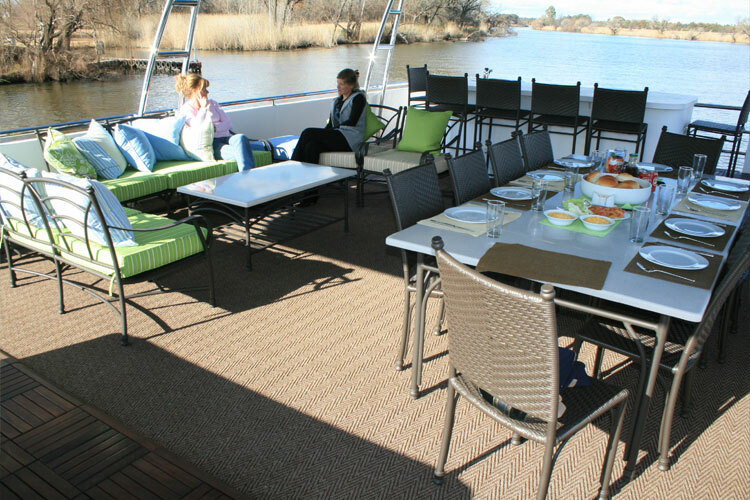 A luxurious houseboat like the Liquid Living that specializes in Vaal River boat charters would also not be complete without an upper deck with a braai area, bar facilities and Jacuzzi. 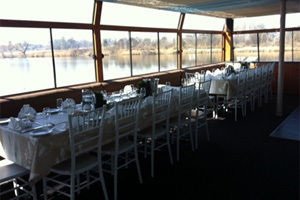 As can be derived from the above, your family will be treated in a very special way and will be thankful to you for giving them the opportunity to experience all that Vaal River boat charters have to offer. 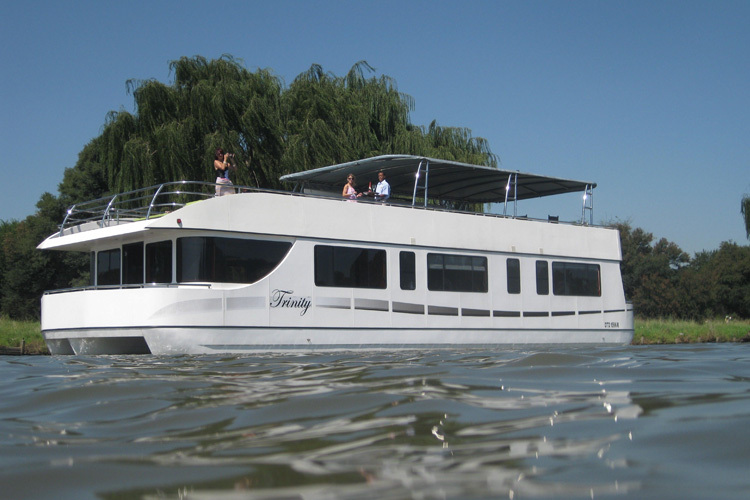 Best of all is that you need not even lift a finger yourself; the friendly staff on board the Liquid Living accompanying you on Vaal River boat charters organizes and takes care of everything on your behalf. 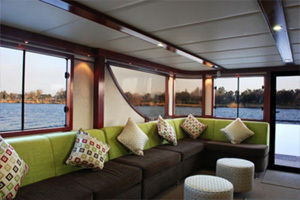 No wonder then that the Liquid Living is one of the most popular Vaal River boat charters.